Luke McFarlane | TV, eh? There will be more adventures in The Quad. Space announced Tuesday that Season 2 of Killjoys is a go, with production starting in Toronto this winter. We had a feeling this news was coming. After all, how awkward would it be to have Killjoys and Dark Matter panels at Fan Expo if they had been cancelled? 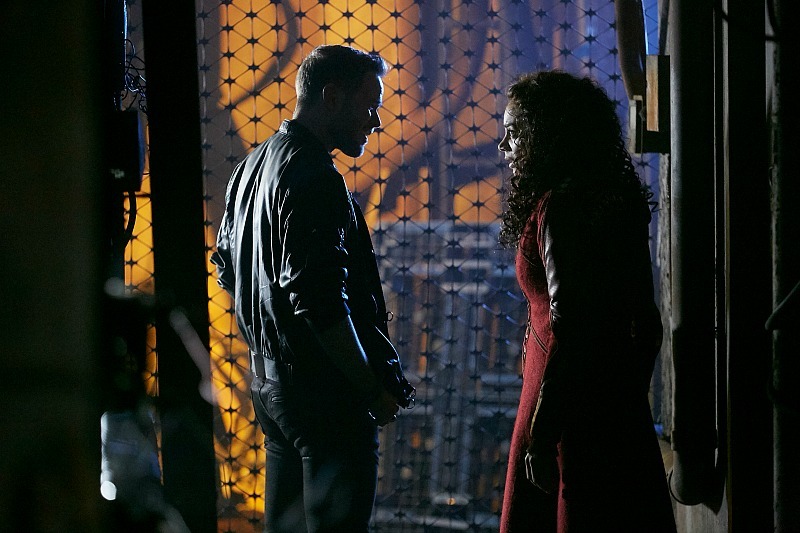 The news comes just over a week following Killjoys’ cliffhanger Season 1 finale, which left D’Avin (Luke Macfarlane) in the clutches of Khlyen (Rob Stewart) in Red 17 and Dutch (Hannah John-Kamen) and Johnny (Aaron Ashmore) vowing to find him. The trio, ensconced in their faithful ship Lucy (voiced by Tamsen McDonough), have been travelling around The Quad—a planet called Qresh and its three moons, Westerley, Arkyn and Leith—cracking skulls and collecting bounty. 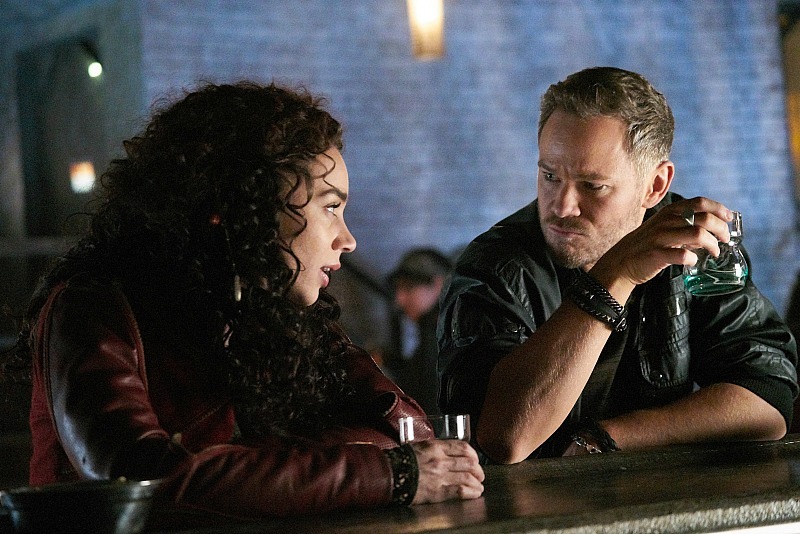 Debuting in June, Killjoys snagged a season finale audience of over 560,000 viewers for Space and is the network’s most-watched original series of all time. 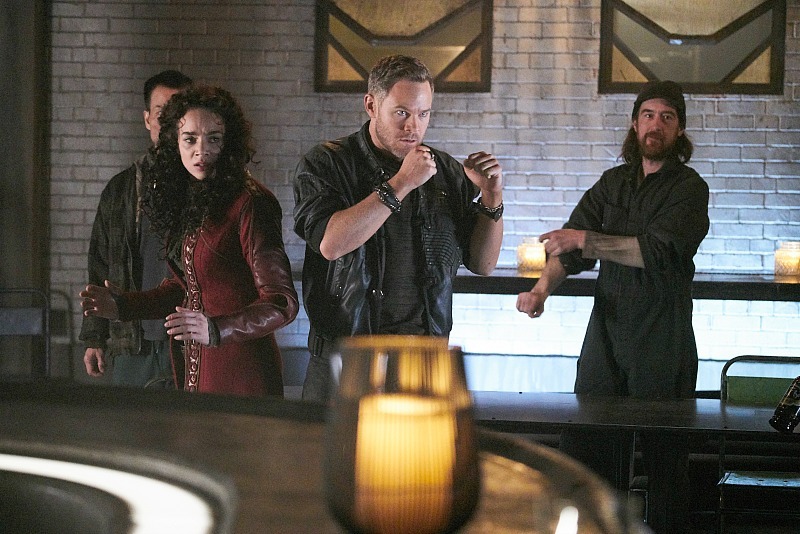 Killjoys and fellow Friday night sci-fi series Dark Matter have made Space the No. 1 specialty network for Adults 25-54, Adults 18-49 and Adults 18-34. Killjoys was created by Michelle Lovretta (Lost Girl) who serves as executive producer and showrunner; Season 1’s writer and consulting producer was Jeremy Boxen with writers Emily Andras, Adam Barken and Aaron Martin on board. 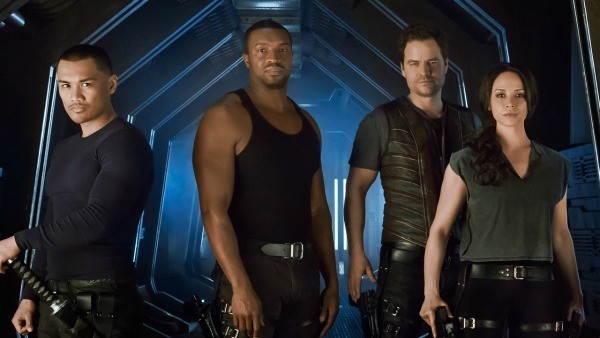 Created by Joseph Mallozzi and Paul Mullie, Dark Matter had a cliffhanger of its own, revealing Five (Jodelle Ferland) had wiped everyone’s memories and that Six (Roger Cross) had betrayed his team. Marc Bendavid, Melissa O’Neil, Anthony Lemke, Alex Mallari Jr. and Zoie Palmer made up the rest of Dark Matter‘s key cast.